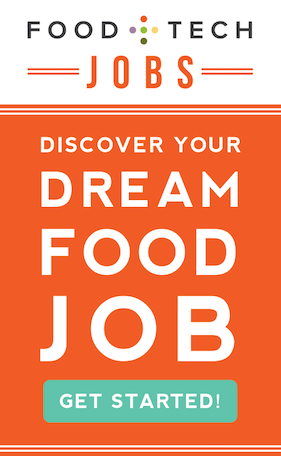 2013 has been a whirlwind year in food tech. Investment continues to pour into the space, which is helping many game-changing companies grow. 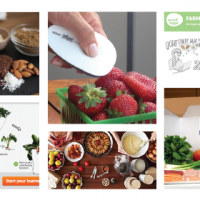 At the end of every year Food+Tech Connect does a roundup of the trends that are revolutionizing the future of food. And this year we’ve decided to pull together an additional list of the most far-out trends of the year, including those from startups and big companies alike. From alternative protein treats and 3D printed eats to breakfast-making robots and nutrient scanners, these futuristic food tech and food science innovations hope to make our food more accessible, sustainable and transparent. Want a home cooked meal made with fresh ingredients? There’s a button for that. 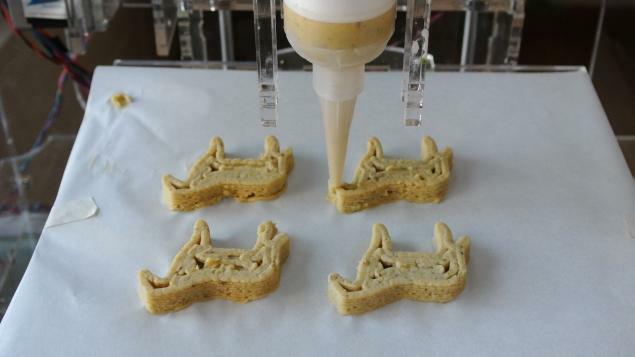 Foodini has engineered a plug-and-play 3D food printer for the home cook. Users prepare the fresh food ahead of time with the help of a blender or food processor, and then load the blended ingredients into Foodini’s food capsules. The printer then uses the capsules to print your recipe. Users can choose recipes from Foodini’s online recipe database or input their own into the device. The company is currently taking pre-orders of $ 1,300 and expects to retail the product by mid 2014. Amazon recently announced it plans to deliver goods by drone in 2015. So far, details have been scarce regarding the company’s next generation R&D lab project, but its goal is to get customers their orders in under 30 minutes. Before flying robots start knocking on your door, the Federal Aviation Administration will need to sign off on Amazon’s flight plans. This may slow its plans, as the agency has been slow to approve domestic drone use. City dwellers will most likely have access to the service first, because drones will sesrve a 10 mile radius around distribution centers. The fast food industry was under fire this year. Workers staged the largest wage strike to date on December 5, asking for $15 an hour rather than minimum wage. But now they may have another issue to contend with: robots. Robots that make 360 perfect burgers per hour, to be exact. 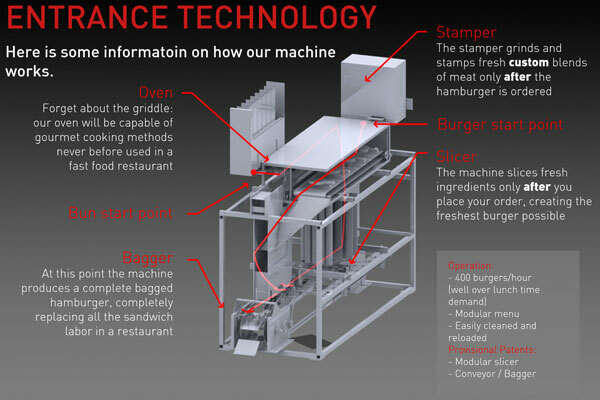 The all-in-one gourmet-burger-flipping machine by Momentum Machines could ostensibly replace line cooks. It blends the meat to order, cooks it in its oven (not griddle), slices and inserts tomatoes and lettuce, and bags the final product. The company believes that by reducing labor costs, fast food establishments will be able to shed their negative, junk-food connotation and produce food with 2 times the quality for the same price. Though the machine boasts better food safety and more efficiency and consistency, one monumental concern would be the massive surge in unemployment that these robots could create. And burgers aren’t the only robot-made food on the horizon. Popcake offers a robot griddle that dollops and cooks perfectly golden pancakes at lightning speed. In China hordes of robots make noodles. And in Japan they pump out 2,500 delicately assembled Inarizushi (rice and tofu skin puffs) per hour, to name a few examples. Imagine scanning your food with a hand-held device and receiving a complete picture of its calories, ingredients and allergens in seconds. 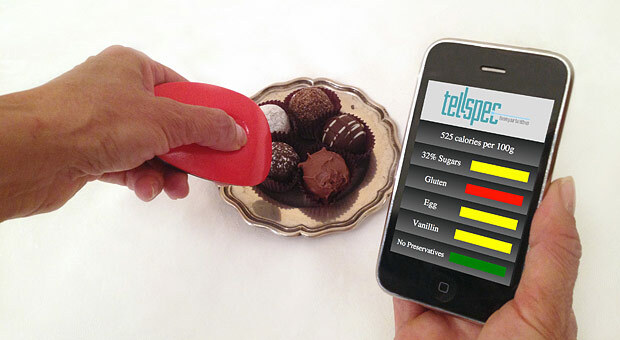 TellSpec, a revolutionary food scanning device, is on track to making it a reality. By combining a laser and spectrometer with a unique algorithm in the cloud and a user app, the product helps people know exactly what is in their food before the buy or eat it. Eventually the team hopes to leverage user data to build a massive database of GPS-enabled food information. This information could help stop public health epidemics, and hold parties responsible for contaminated food, which the team hopes will cultivate a clean food revolution. Tellspec will hit the market in August 2014 for $350-$400, but the company aims to get the price down to $50 in a few years. Food waste was a hot button issue this year. The US alone wastes 40 percent of the food we produce, costing us $165 billion dollars a year. Many companies have sprouted up that are working to minimize food waste. One such highly-controversial technology LeftoverSwap offers an online marketplace for leftovers. The iOS app allows users to post a picture and description of their unwanted leftovers on its listing database. And nearby users can then trade or simply take the remaining food. Users arrange a mutually agreed upon delivery method. There are a lot of potential health hazards in taking food from non-permitted strangers, but the site says its success hinges on trust, like other sharing economy companies like CouchSurfing, AirBnB and Feastly. Hampton Creek Foods hopes to disrupt the global egg industry. Backed by PayPal co-founder Peter Thiel, Khosla Ventures and Bill Gates, the company is well on its way. 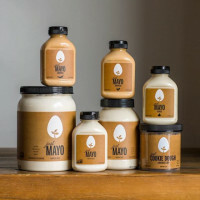 Its first product Just Mayo, a mayonnaise substitute derived from plants, made its way onto Whole Food’s shelves earlier this year for around the same price as the traditional variety. 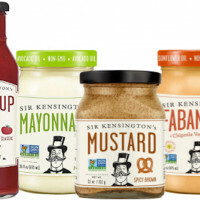 The company claims their product is better for the environment, because it generates lower gas emissions, is less resource intensive and is more affordable to produce. The main challenge they face is getting egg eaters to make the switch to a veggie based product. The company is also developing a cookie dough and a scrambled egg alternative. Beyond Meat, another protein alternative, is developing meat alternatives that aim to be superior in taste to what’s currently available on the market. Critics say, its debut product “chicken-free strips” has a remarkably chicken-y consistency. The company received investment from startup incubator Obvious Corp and Perkins Caulfield & Byers. With a beef-esque product in the works, the company aims to appeal to more than the tofu, tempeh and saitan eaters and reach the broader meat-eating community who are looking to eat more healthfully. Today, nearly 1/5 of all greenhouse gases come from industrial livestock production and roughly two thousand gallons of water go into a single pound of industrial beef. 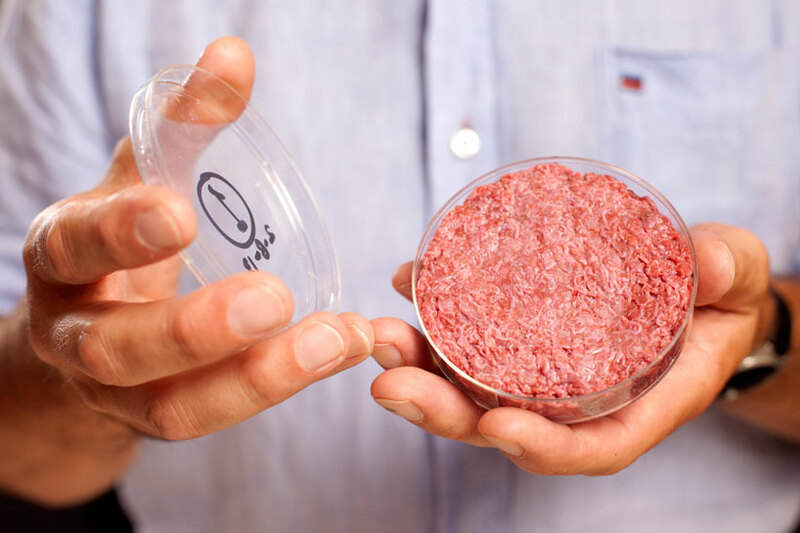 Requiring one percent of the land and four percent of the water of traditional livestock production, lab-grown beef may become a very viable option. The scientist leading the cultured beef train, Mark Post, sees cultured beef as just one of many “radical transformations of production methods [that] are required to keep up with global doubling of demand in the decades to come.” Besides improving the taste (reviews were mixed regarding flavor and consistency on the first $300,000 burger), scientists will need to work to create a cost-effective, commercially available burger – which they anticipate is about about 10 years away. Soylent: the key to feeding the world? The Internet was abuzz this year debating the merits of Soylent, a dystopian meal replacement shake developed by 25-year old software engineer Rob Reinhart. Initially designed to make it easy for Reinhard to get all his daily nutritional needs faster and more affordably, he lived on the stuff for 30 days and blogged about it. Made of starch, whey protein, olive oil, raw chemicals, carbs, amino acids, proteins and vitamins, he claims it’s a healthy, affordable meal replacement, which could better feed the world than sustainable agriculture. The Internet soon caught on, and people certainly had strong reactions: they either wanted it or they hated it. Reinhard used this momentum to launch an Indigogo campaign, which helped him raise $1 million in pre-orders. He then went on to secure $1.5 million seed round lead by Andreessen-Horowitz and Lerer Ventures. The product will be available for purchase in January and will cost around $65 for a week’s supply. For an inside look at Soylent and the man behind it, check out Brian Merchant’s in-depth Vice video interview. It’s definitely been the year of the insect. As the conversation about our future food security intensifies, many startups are looking to our exoskeleton friends as an answer. Requiring far less land and resources to produce, and packed with as much protein resource-intensive beef, the insect game appears to be on. Tiny Farms, for example,is working to grow the global market for entomology (human consumption of insects) and hopes to provide the technology, training and expertise to help others scale bug production and eventually start producing products like mealworm brittle. This year, Exo raised $46,000 on Kickstarter to manufacture protein bars made with cricket flour (slow roasted milled cricket!). The company hopes to introduce the West to one of the most nutritious and sustainable protein sources in the world. Getting customers over the bug-eating barrier will likely prove challenging. 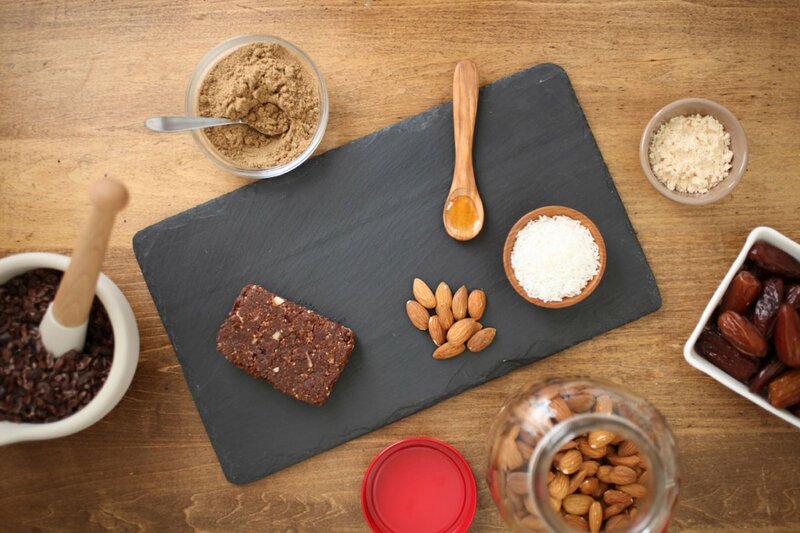 With packaging that downplays their bug basis, the gluten, dairy and soy free bars are packed with more-traditional wholesome ingredients like dates and almond butter. Moon gardening anyone? Now NASA is jumping on the local food bandwagon and has plans to grow basil, turnips and cress on the moon. To protect the plants from cosmic radiation and the lack of atmosphere, NASA researchers will be growing them in high-tech terrariums, which contain seeds, nutrient-rich paper and the proper amounts of water and air to help the seeds grow. The canister terrariums have features that monitor temperature and light and cameras, which will help researches track the plants’ development. If NASA has its way, astronauts will soon be able to forget about freeze-dried space food and start enjoying locally-sourced greens 238,900 miles from earth.